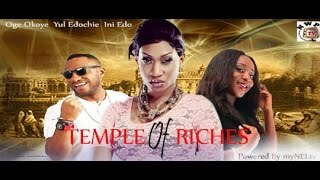 The family saga continues in....Riches Nigerian Movie [Part 1], the sequel to Shattered Mirror. The Nollywood film stars Nkem Owoh, Majid Michel, Ngozi Ezeonu, Kay Samuel, Wasky Oguegbu, Sharon Francis. Watch, Comment and Share on your social networks. Riches Nigerian Movie Storyline: A man suffers immense ridicule from his foul-tempered father with regards to his state of unemployment. His financial incapability pushes him into a deep depression and out of desperation he joined a secret cult . A fathers dream came through but with a price. Starring Majid Michel, Nkem Uwoh, Ngozi Ezeonu, Wasky Oguegbo. Watch Nigerian movies online. Note: 'Riches Nigerian Movie' is the sequel to 'Shattered Mirror'.